Happy almost spring! 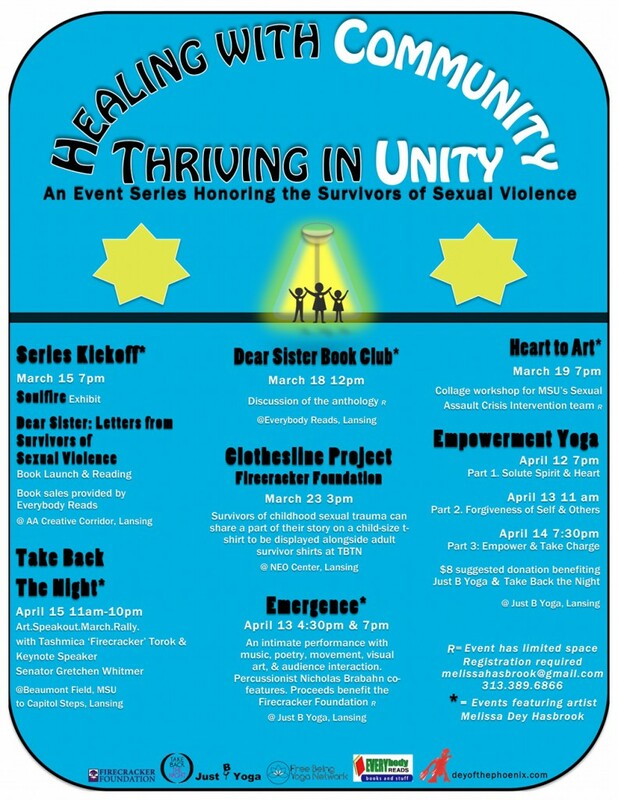 This week in Lansing the event series “Healing with Community, Thriving in Unity” is in full-swing. The flyer (to the right) captures most of the programming, and your help to share is most welcome to reach Greater Lansing. Please click on the image to download. Thanks so much for your assistance! Next up is the Dear Sister Book Club this Tuesday, March 18, from 12pm to 1pm at Everybody Reads Bookstore, 2019 E. Michigan Ave. I will lead the discussion in the community room, a limited-seating space. Registration will secure your spot: MelissaHasbrook@Gmail.com, 313.389.6866. Otherwise, admission will be first-come, first-serve. I look forward to sharing this intimate space with you. Our kick-off event was over the weekend, and brought together organizers The Firecracker Foundation, Take Back the Night of Greater Lansing, and myself. Series’ partner Everybody Reads also joined us to vend Dear Sister: Letters from Survivors of Sexual Violence. Thanks to the survivors, allies, friends, and new faces who made the night shine! For more pictures, visit my album on Facebook. 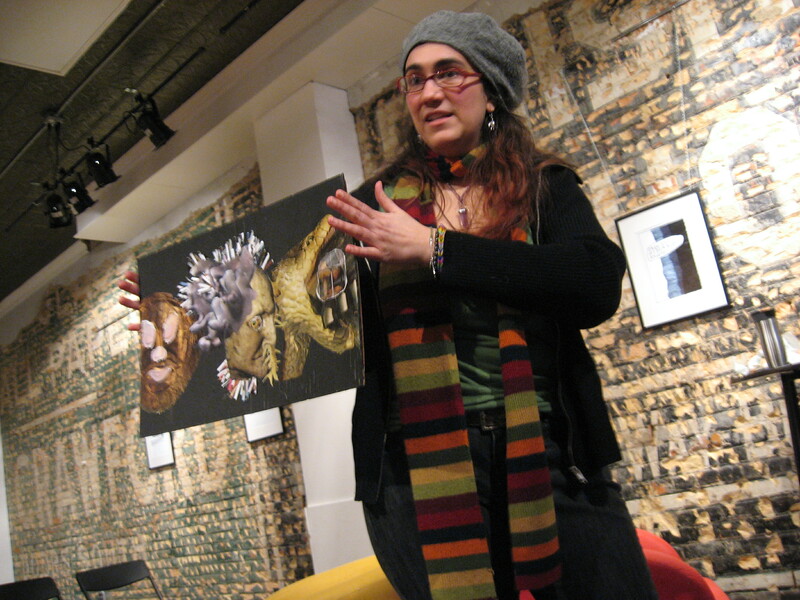 Vulnerability was my topic during the kick-off at AA Creative Corridor. I shared a work-in-progress on this theme. Thanks to John Allison for the photograph. This entry was posted in Uncategorized and tagged community, Dear Sister, Everybody Reads, Firecracker Foundation, healing, Take Back the Night, thriving. Bookmark the permalink.